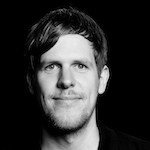 Jan Quiel is a german promoter, booking agent and tour manager. He worked for Weird World Promotion from 2005-2014. Since 2014, he is involved at Seaside Touring as promoter and booking agent. Seaside Touring belongs to the ICS Network, which is promoting festivals like the Wacken Open Air, Full Metal Cruise, Full Metal Mountain, Waterkant X-Mas Bash and many more events. The network also owns a ticket company called Metaltix. Jan worked with artists like Sepultura, Devildriver, Enslaved, Ill Nino & Ugly Kid Joe, among others.